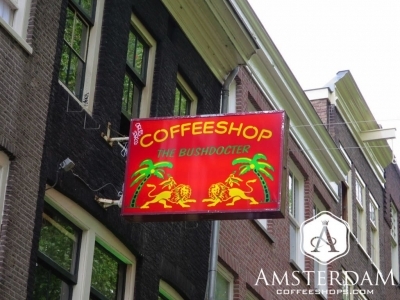 The Bushdoctor coffeeshop (technically Bushdocter with an "e") is located on Thorbeckeplein (Thorbecke Square), named after a prominent 19th century Dutch politician. Thorbeckeplein is a small tree-lined square in the southern part of the Canal Ring. 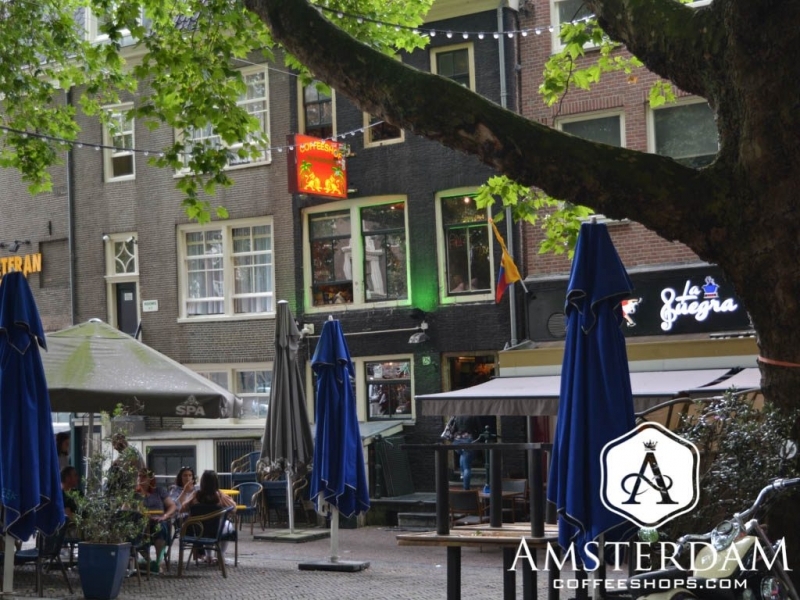 It is close to the Rembrandtplein (Rembrandt square), also a very active part of the city for nightlife. Likewise, you will find this square bordered side-by-side with pubs, restaurants, and other eateries. It can be quite a draw on sunny afternoons as well. You will often find the square packed with visitors resting in the shade, or enjoying a bit of al fresco dining under an outdoor canopy. The Bushdocter is fairly large inside. There is ample seating downstairs, and a more expansive room upstairs that hosts some nice views of the square. However, the indoor seating is not the most notable feature of this shop. 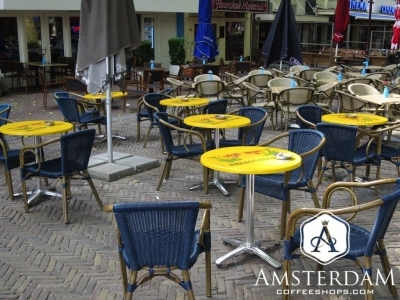 As a business in Thorbecke Square, Bushdocter coffeeshop has access to a great deal of outdoor seating space. On sunny days, they take full advantage of it. They will place roughly a dozen small tables outside, with enough seating for several times that number. Bushdocter likely has the distinction of having the greatest volume of outdoor seating of any coffeeshop in the city center. This coffeeshop is also known for its cannabis products, hashish in particular. They have entered competitions in the past for their stock, and won a handful of awards over the years. 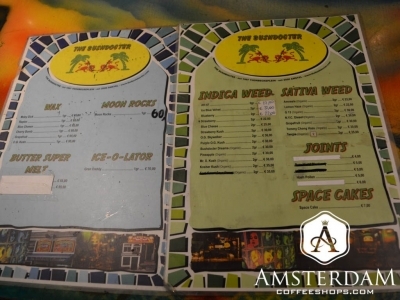 Bushdoctor was also one of the first coffeeshops to bring high quality cannabis concentrates (mainly wax) to Amsterdam, which they claim is produced through a solvent-free method. You are likely to find some on the menu, perhaps alongside some moonrocks and nederhasj. They also have a fairly robust selection on the weed-side of the menu. Genetics are largely old-school favorites here, with a few contemporary items thrown in the mix. There is also a decent list of pre-rolled joints, and space cakes if you are looking for an edible. Bushdoctor Coffeeshop is a distinct establishment. it hosts a large volume of outdoor seating. and has a reputation for high quality hashish (cannabis concentrate) products. This is an excellent shop, which we feel is worthy of a special trip.